The NFC East is up for grabs, and “Monday Night Football” in Week 13 will play a major role in the division’s winner. The Washington Redskins host the Dallas Cowboys as both teams battle for a playoff berth. Washington picked up a big win in their last game, improving to 5-6 by defeating the New York Giants. The two teams are tied atop the NFC East, but the tiebreaker has the Redskins in first place at the moment. Dallas’ Week 12 loss was their worst of the year, as they were dominated by the Carolina Panthers and saw Tony Romo get injured again. The Redskins are four-point home favorites, according to vegasinsider.com. The over/under is 42 points. Even though the combined record of Washington and Dallas is a woeful 8-14, both teams can win the division. The Cowboys are a longshot because of the injuries they’ve suffered, but mathematically they are still very much alive in the race. The Redskins are in the driver’s seat in the NFC East. Not only does Washington control their own destiny, but the Redskins have a favorable schedule going forward. They have two games against the Cowboys, giving them a chance to get two divisional wins against the worst team in the NFC East. Washington’s win over New York gave them a better divisional record than the Giants, and they don’t play a winning team for the rest of the season. Realistically, the Cowboys probably aren’t good enough to come back and win the division. But they only trail the Redskins by two games, and they have a chance to hand them two key losses. The Redskins have been better than most experts predicted them to be at the start of the season, and the team that was the biggest longshot to win the NFC East is in first place. Washington seems to be in the best position to win the division, but it won’t be easy considering how inconsistent they’ve been. Even on their way to first place, the Redskins still haven’t won two games in a row. They’ve held four opponents to 17 points or less, but five teams have scored at least 30 points on Washington. The Redskins haven’t beaten a team with a winning record, and they are 0-4 against teams above .500, losing by an average of 16.2 points per game. Kirk Cousins has embodied the team’s inconsistency. 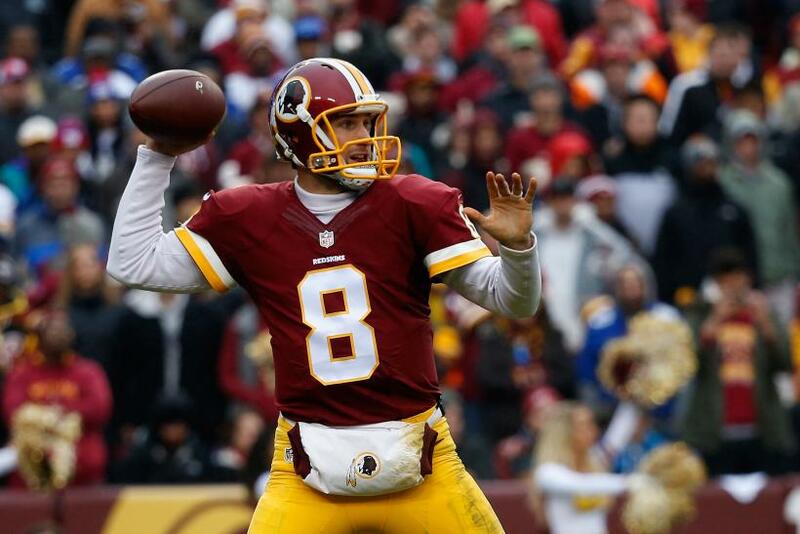 He’s had four games with a passer rating of more than 110.0, and the Redskins have won each of those games. In Washington's victories, the quarterback has played mistake-free football, throwing 10 touchdown passes and no interceptions. But Cousins has been picked off 10 times and thrown for just six scores in the team’s six losses, posting a 69.7 passer rating in those games. Dallas must go back to Matt Cassel, following the team’s disastrous loss on Thanksgiving which included an injury that ended Romo’s season. The Cowboys are 0-7 when starting backup quarterbacks, and it won’t be easy for them to get their first win. Cassel played well in garbage time last week, but even after putting up good numbers against Carolina he still has a 78.8 passer rating on the season. Cassel’s one good game came against the Philadelphia Eagles, but the Cowboys managed to lose in overtime. The quarterback hasn’t won a game since last year’s season opener with the Minnesota Vikings. Dez Bryant has played five games since returning from injury, but he could be poised to have his best game of the season. The wide receiver just completed his first full practice since Week 1. He hasn’t caught more than five passes in any game this season. Dallas hasn’t won a game without Romo, and Cassel doesn’t give them a great chance to break that streak. Cousins could have some success against the Cowboys’ secondary, giving Washington a shot to win by double-digits.